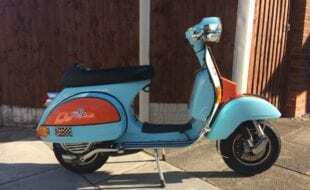 They say that you can’t polish a turd, and no matter which way I looked at the Vespa GTS I couldn’t get past the ‘It ain’t a GP’ phase — but I still wanted one! For years I’ve treated my GP to every trick part available, 37 modifications in the last 25 years! 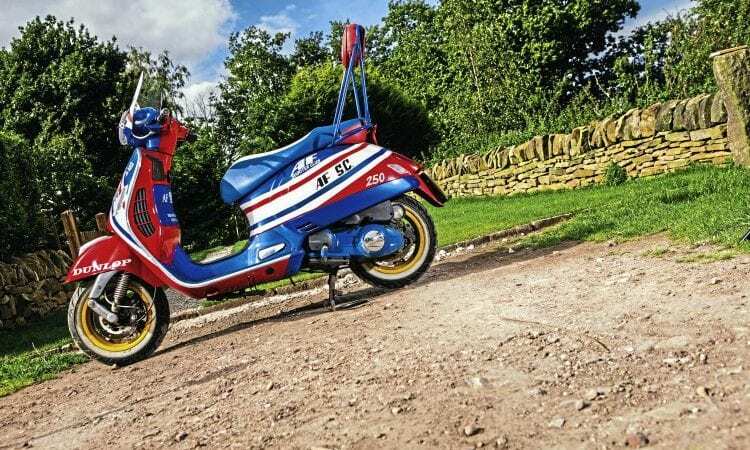 Now don’t get me wrong, I ain’t ever getting rid of my GP, but my days of riding to the loW sat on a Snetterton seat wearing a flight jacket and Doc shoes are over, my old body just won’t take it. 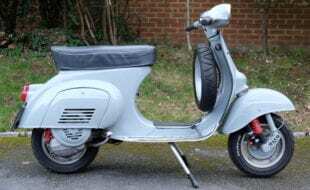 It is also said that a Lambretta, correctly set up and maintained, will be as reliable as a Vespa. Hands up who believes that? Okay, it’s an auto and I must admit this made me feel as uncomfortable as my last prostate exam. The GTS is the fat chick of scootering, but fat chicks are pretty too. I know some of you’ll need convincing. What we need is make up. Soon after getting the scooter home I decided that an extreme makeover was needed. My first choice was Coca-Cola but that didn’t last long. Macca’s DTC was my favourite custom paint job and an Eighties icon. What better to mix ‘old school’ with ‘new school’? Okay there’ll be some scratching their heads as to what it is, there’ll even be some who think it’s a Domino’s Pizza scooter, but the bike’s for me! The next stage was researching the paint. A couple of DTC replicas had got it wrong and I was determined to get as much aesthetically correct as possible. The main problem was transplanting the theme from a full bodied GP onto my ugly duckling. Simon and Jane at Scoot Graphics were approached and I was impressed by their professionalism. 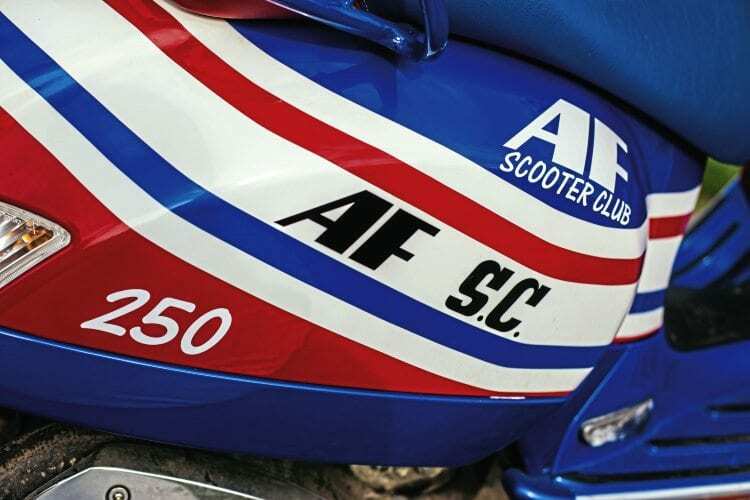 Simon is a perfectionist, perfectly morphing our AFSC logo into the DTC design. Rüdiger Giesen who works at Reiner Brenner of Brüggen, Germany, was commissioned to translate my idea into reality. He relished the idea of spraying something other than crash damaged cars and was truly excited about the project. 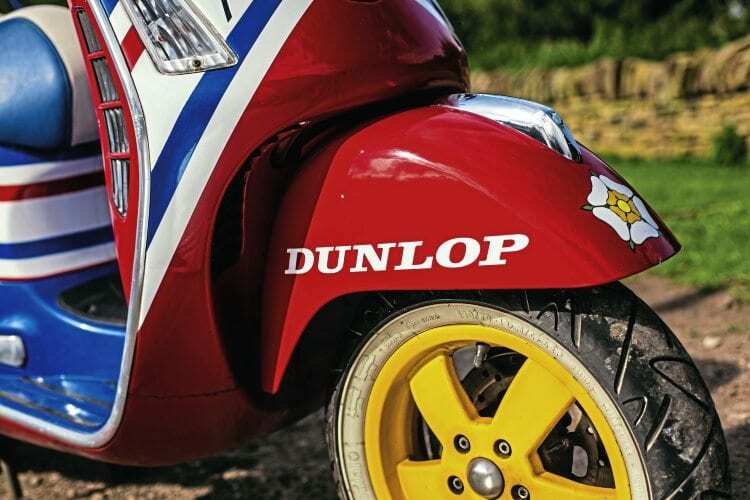 When the original Lambretta lines couldn’t be followed, Rüdi devised solutions that worked. The ‘Micky Mouse’ mirrors were binned and the gaping holes left from the stems have been blanked off. 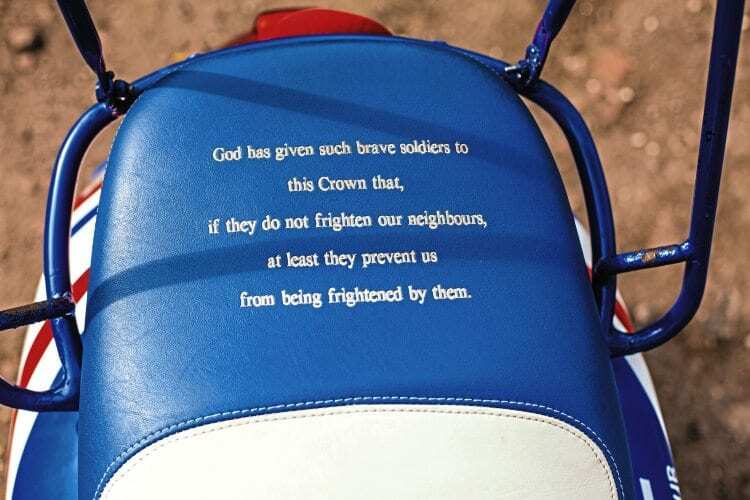 The back rack was the next thing to go and the seat was re-covered breaking its shape and coordinating with the paint work. I know some won’t like it, some won’t get it, but I love it! 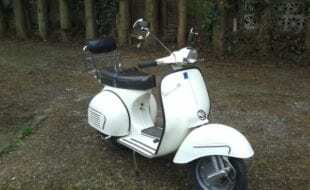 For those who want to slate it because it’s an auto… well, I’ve pushed GPs further than most have ridden Vespas! 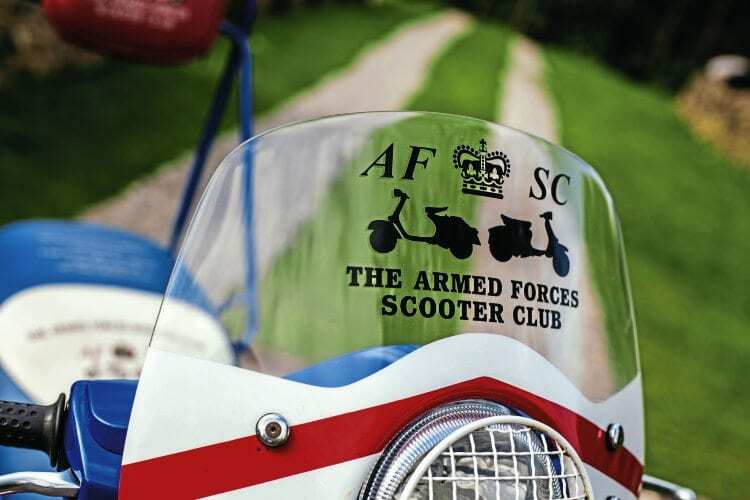 Scooter club & town: Armed Forces Scooter Club, Sheffield. 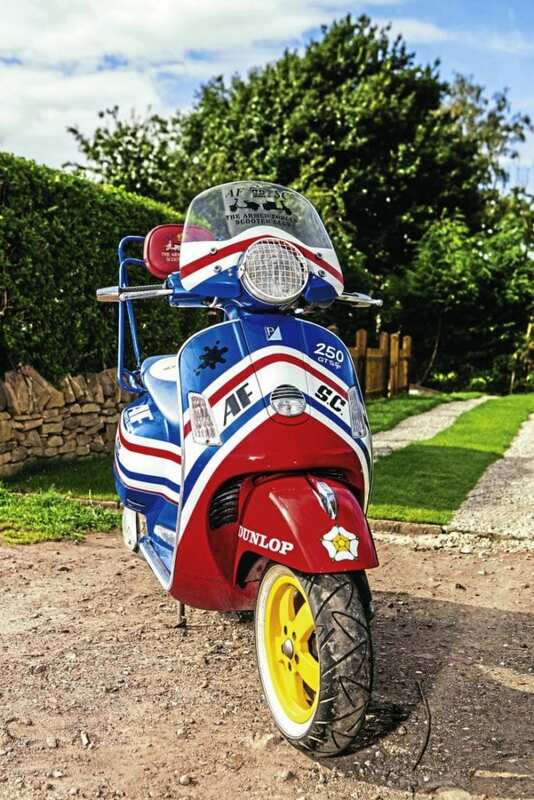 What is your favourite scooter model: Lambretta GP or Vespa Rally. 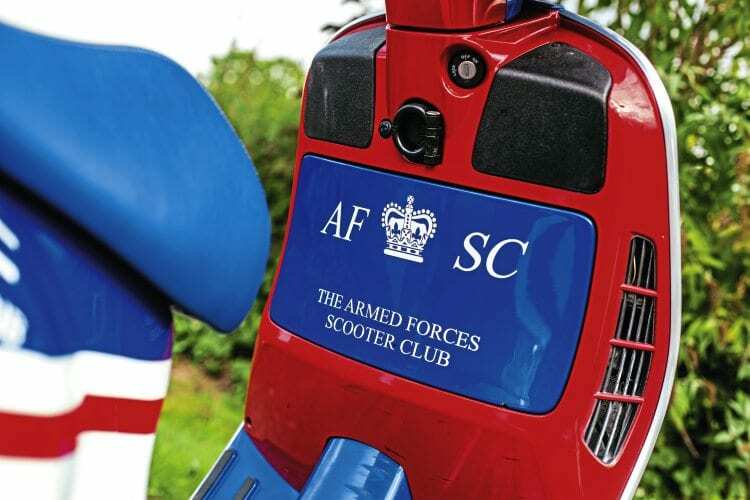 What is your favourite style of custom scooter: I like them all – there’s a place for everything. 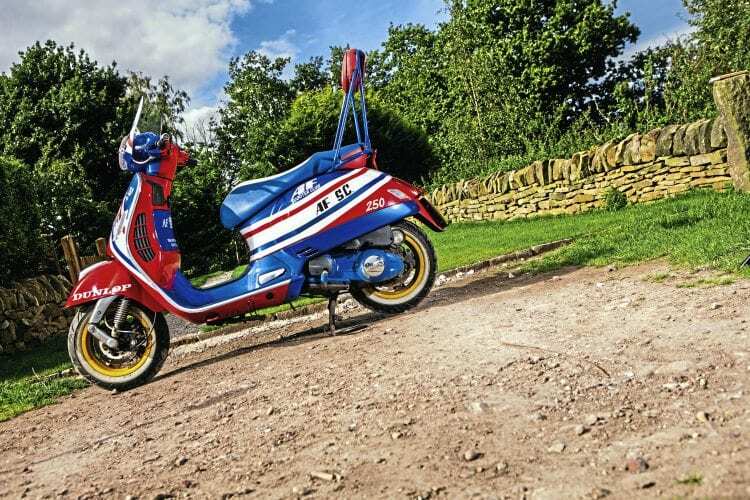 What’s the furthest you’ve ever ridden on a scooter: While stationed in Germany we rode to several European rallies, most memorably Breukelen in Holland. 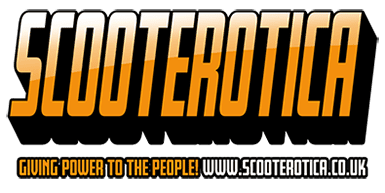 What do you dislike about rallies/events: People need to get over the fact that autos are part of the scootering scene. I built this 10 years ago and was treated like a pariah. That attitude’s still very strong but for some reason this GTS makes people smile! What’s the more useless part you’ve ever bought for one of your scooters: Panniers – destroyed my GP’s side panels. 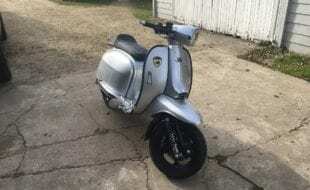 Name of scooter: Downtown Custom GTS. 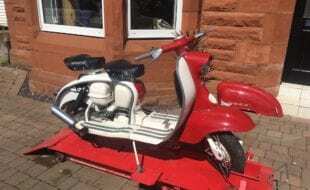 Scooter model: 2005 Vespa GTS 250. 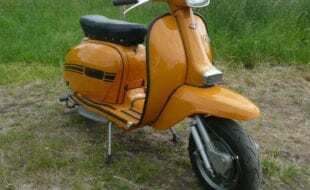 Date purchased & cost: 2005, I test rode one in Germany and was blown away by the performance. The only people who don’t own a GTS either haven’t ridden one or can’t afford one! Inspiration for project: I’ve known Macca for years and his DTC scheme is truly iconic. 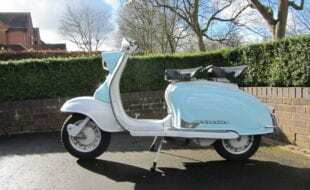 Are there any specialised parts: Convertd PX backrest by Rick Galloway, front light grille by Chris Green at Mental Engineering. 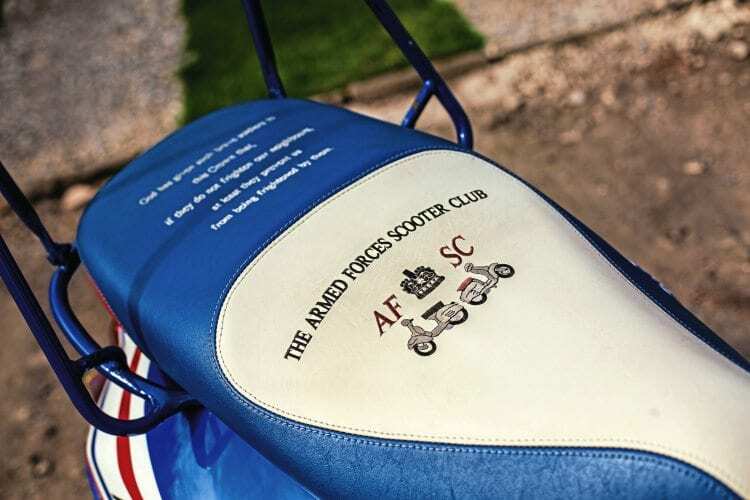 Seat was re-covered by Mark at MB Trims with embroidery by Alan at Storm Embroidery. Malossi Multivar kit. 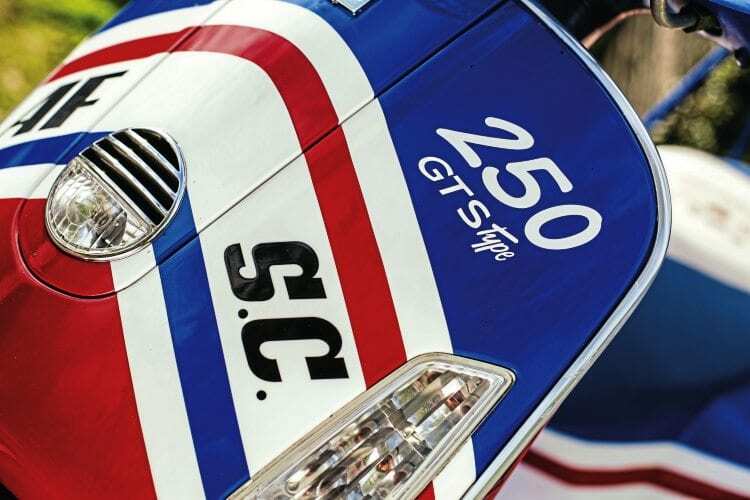 Top speed: The GTS is limited electronically – basically to stop the inside of the engine becoming the outside! 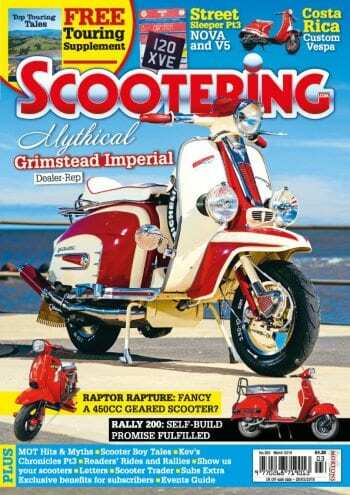 The Malossi kit improves gear selection and produces a really smooth ride with loads of torque. 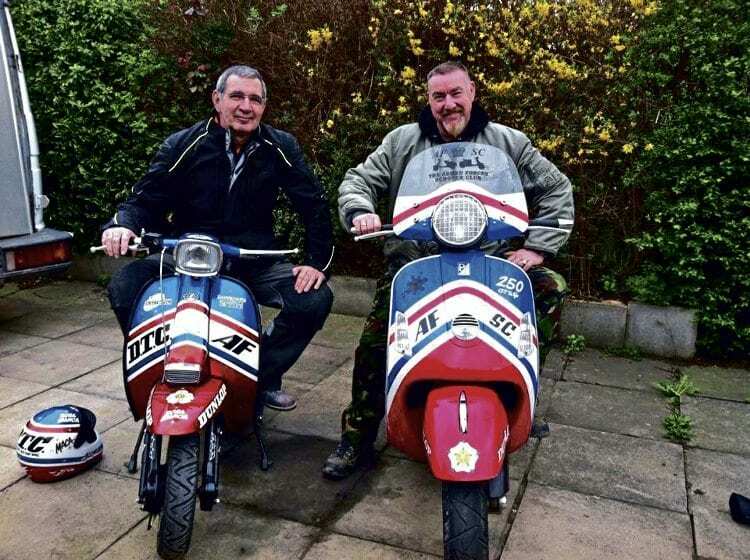 Paintwork & murals: Rüdiger Giesen, Reiner Brenner of Brüggen Germany. Simon, Maca and two very different machines. Is there any powder coating: Wheels. Anything else to add: Since the photo shoot I’ve added switchback indicator lights. They have a very pale, permanent blue hue that switches to orange when indicating.